Alligator Skimmers – SOS Safety International Inc. 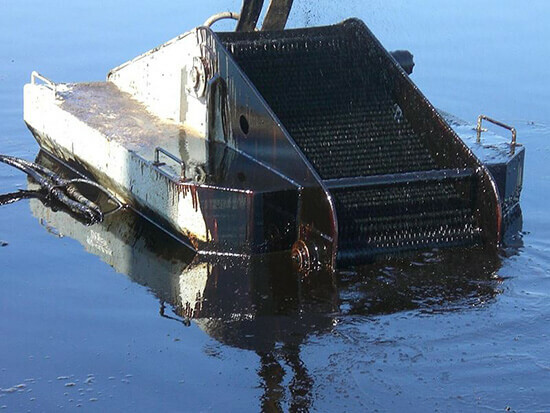 The ALLIGATOR belt brush skimmer from DESMI incorporates the advantages of the belt mechanism with a stiff brush that enhances the recovery of oil. Bi-directional belt – the belt can operate in either direction. 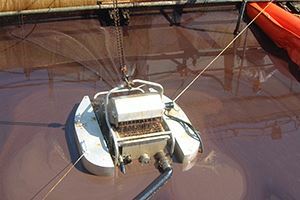 On underflow mode (with the belt going down into the oil) the skimmer can achieve a high recovery rate with lighter oils. 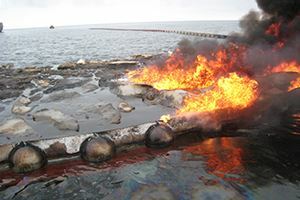 In overflow mode (belt coming up out of the oil) the ALLIGATOR is able to recover thick layers of heavy oils with very little water – as low as 2%! 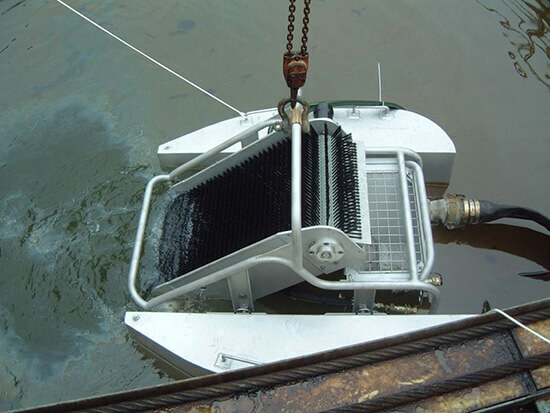 Removable floats – the floats can be detached for shipping and adjustment of skimmer depht in the water. 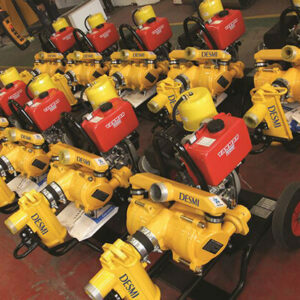 Removable sump – the whole sump with the DOP-160 off-loading pump attached will slide out. This is to help with transportation and provide quick access to the pump. A suction connection is fitted so that the skimmer can be used with external suction pumps and vacuum trucks. Alternative sumps are available to adapt the unit to fit onto other skimmers. 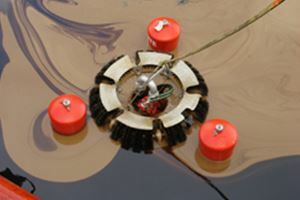 The skimmer provides a lightweight package that can skim a wide range of oils not normally associated with brush skimmers. It is especially good with medium and very viscous oils. 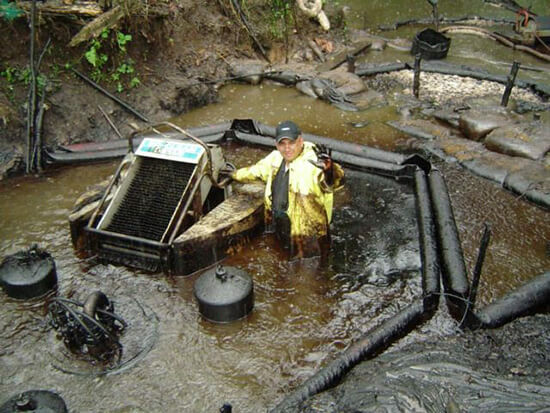 This skimmer is based on the proven BELT skimmer design in a smaller and user friendly format. 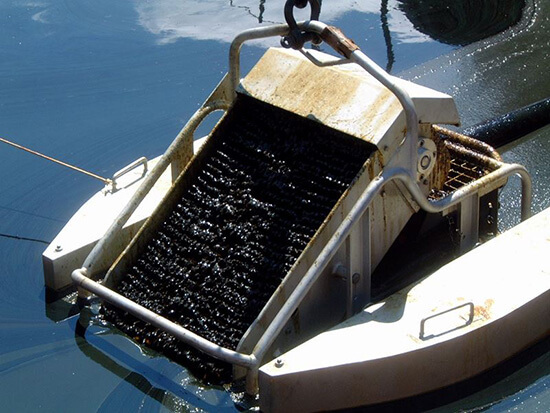 It can operate effectively in open or inshore waters.